ShabbatUK at Finsbury Park got off to a creative start as children created wooden stars in a Parashat Lech Lecha-themed session titled ‘Ani Kohav’. These created the backdrop for their Shabbat, which was also preceded by FPS’ first ever Challah Make, where attendees included a handful of people who had never made challah or attended a ShabbatUK event before. FPS laid on the full Shabbat package over the weekend, with a Kabbalat Shabbat followed by dinner, talks from speaker Rabbi Dr Lowenthal and an upbeat Melava Malka featuring the band ‘Soul Flame’. 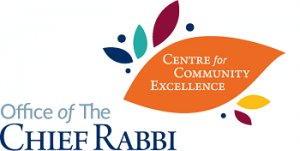 Participants came away encouraged by the vigour of community life and buoyed by the uplifting experience of a full Shabbat. We put on an educational kids Arts and Crafts event used to illustrate how we are all the descendants of Abraham. The activity was to make self-portraits with Abraham and the stars in the middle surrounded by everyone’s portraits that they made. A fun talk with the kids about parashat Lech Lacha. It was a fun event and the kids loved that they were making a wall display in the shul for for people to enjoy throughout our Shabbat UK events. This year we had three ladies that never made Challah before (2 of which never kept Shabbat before). We had 7 new people including 2 teenage girls. Everyone loved that there was a Shabbat UK event at FPS solely dedicated to the children which was the same as last year. The kids felt involved and loved that we made a wall display for Shabbat UK for everyone to enjoy.